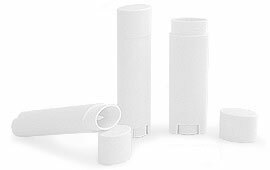 The .15 ounce white oval lip balm tubes are offered with white caps. A ribbed turning wheel at the base of the oval lip balm tube allows for your product to be neatly dispensed. The unique oval shape offers a fresh new look and could possibly be used for products such as solid sunscreens, cosmetics, insect repellents, solid perfumes and much more. 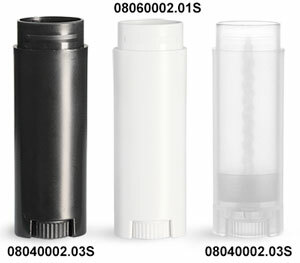 The sleek design makes this oval lip balm tube a perfect travel item that can fit neatly in your purse or pocket alike.